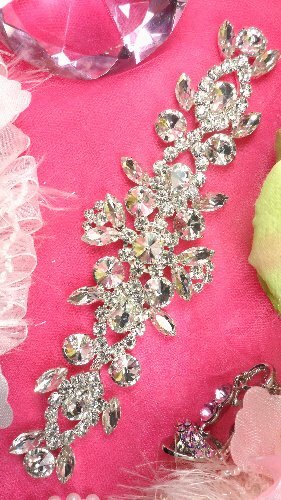 XR163 Silver Crystal Rhinestone Applique Embellishment 8"
Catalog > XR163 Silver Crystal Rhinestone Applique Embellishment 8"
Measures: Approximately 8" x 2.25"
This applique has silver metal backing and is flexible. It can be cut in several different ways to make smaller appliques. Great for all your sewing and craft projects.